Police have arrested a man who allegedly went on a holiday crime spree through southern California. According to San Diego Police, 45-year-old Ira Stringer carjacked a baseball coach and 16-year-old boy from the area around Hickman Field in Kearny Mesa around 10 a.m. Wednesday. The two were forced to drive the gunman to Ramona. "I was pretty sure he was just going to kill us and take the car," said baseball coach Dylan Graham. “Right when the car crashed Jack got out of the car he was gone. Thankfully he did that because when I got my hands on the gun [the kidnapper] immediately just tried to shoot me four or five times," Graham said. "I had my hands around his wrist and kind of diverted it too so he wouldn't shoot me, but he shot the passenger seat up about four or five times. We wrestled and I eventually got the gun out of his hand." Both victims got out of the crashed Jeep. 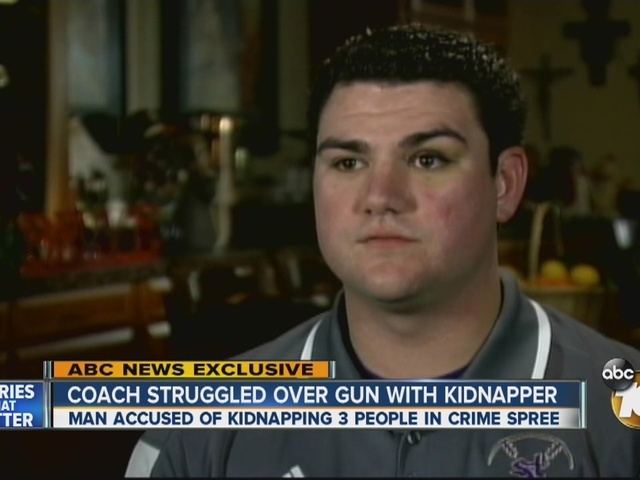 Graham had the gun and he could have killed his kidnapper, but he didn't. "We were face-to-face, and I am happy I did not do it," Graham said. "That would have been tough to bear, but there was that moment when I shot a couple of warning shots." 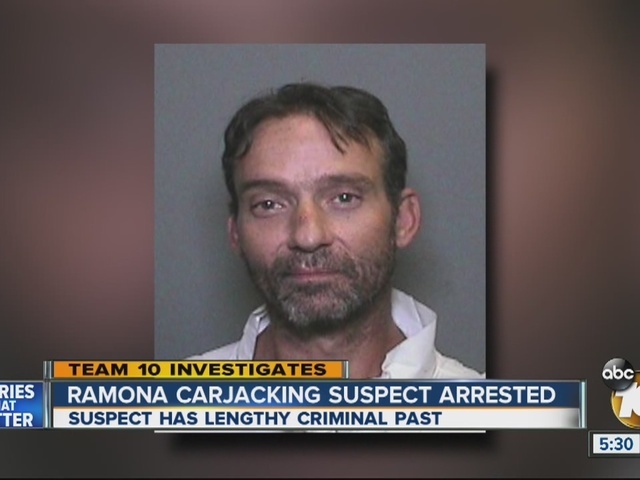 Stringer allegedly carjacked another vehicle and ordered the female driver to take him the rest of the way into Ramona. She escaped unharmed once they got into town and he fled in her vehicle, which has been recovered, police said. Police say a few days later, on December 26, he robbed and threatened to kill a clerk at an AM/PM in Lemon Grove. After that, they believe Stringer pointed a shotgun at three victims inside a Circle K in the City of Orange demanding gas and cigarettes. They say Stringer led police on a high-speed pursuit from Orange to the City of Riverside. After two hours of negotiation, Stringer threw the shotgun from his vehicle and surrendered.